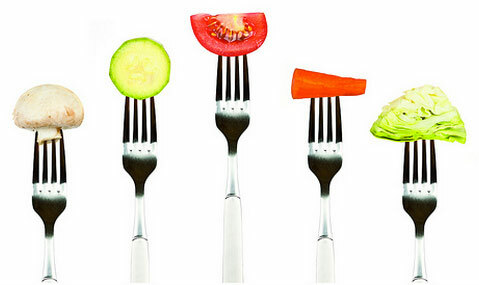 Eating better, healthier, can actually help you crave healthier foods. Today I noticed an interesting feeling. I was depositing a check at the bank, the same bank I was at last Saturday when my life was falling apart. And there was the same Yoghurt shop and the same temptation. But I had a different reaction today. I was finished with my deposit and as I was walking out of the bank I noticed how hungry I was. And this hunger was sort of interesting. It was like the opposite of bloating. I was sort of like a lean animal in the hunt for a meal. And I noticed my craving to have some yogurt, but my body and my hunger was for something more substantial. I wondered to myself, maybe this is genuine hunger rather than a craving. Something else was pretty interesting as well. I liked the lean feeling I had in my stomach. I was hungry, I could tell I was hungry, and in turning away from the frozen treat, I was turning towards the hunger and the real craving for food, the healthier the better. And I imagined this good feeling, this lean feeling, could also be something a person could become addicted to. Like, instead of craving yogurt you crave the empty feeling of being hungry. Again, like an animal in the hunt for a meal. How much of our daily eating is due to a craving or unhealthy imbalance of nutrition, and how much of it is habit. I have been in the habit of eating poorly. I like the feeling of my body eating well. And tonight as I ate a lean meat and vegetables only dinner, I liked how I was feeling. I even liked how I was thinking. Sure, I’d like the occasional sweet. But for the rest of October, anytime I make that choice I’m going to look at what’s going on in my animal body and my emotional body before I make a decision one way or another.